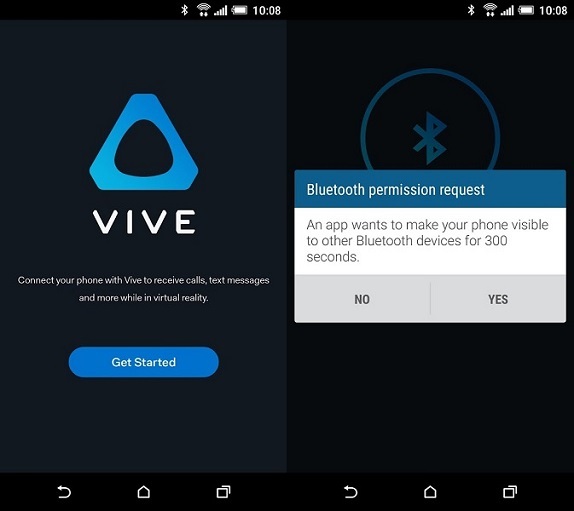 HTC has released a Vive Phone Companion app which pairs your smartphone to your Vive headset and allows you to correspond with incoming calls and text messages. The companion app basically lets you pushes notifications from your phone directly to the PC which is connected to your Vive headset. It uses Bluetooth to send notifications and will also notify you about calendar events. In order to use the app, you will need to setup the software on both your phone and PC. HTC kick started the pre-orders for the Vive VR headset in February for $799 while shipping will begin in April. Check out our Vive VR headset photo gallery here.